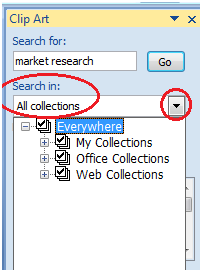 In "Collection Field" click the drop-down arrow. It gives four options. Choose the option that suits your requirement. 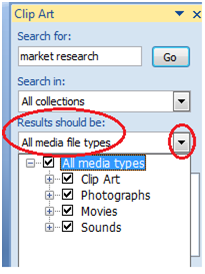 In "Results should be" filed click the drop-down arrow, you will find five options. Choose the option that suits your requirement. Now click the "Go". 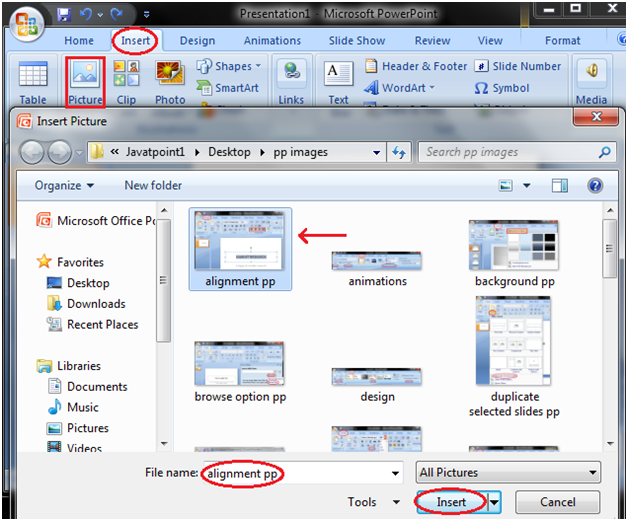 Clip Art menu will appear. 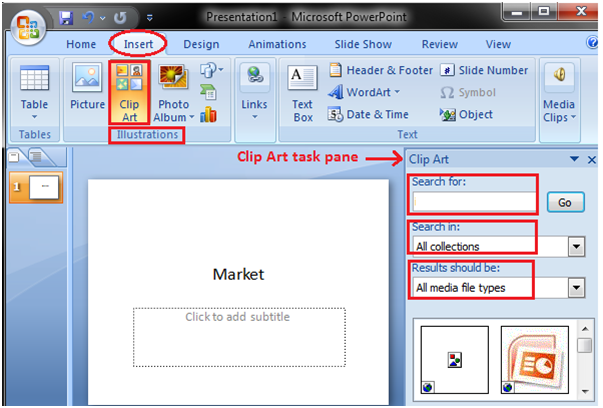 Select the desired clip art or click the drop- down arrow next to clip art, it will display Insert option to add the clip art.